I was so excited to see the new SS 12 / 13 ranges that Mother Father PR were showcasing for the week. They're vast range of new designs display styles for all tastes and price-points, allowing you to go from runway to real-way. The inspired graphic prints from An Ode to No One and their equally fabulous diffusion line A.D were one of a kind. Pieces that brighten your day just by wearing them. 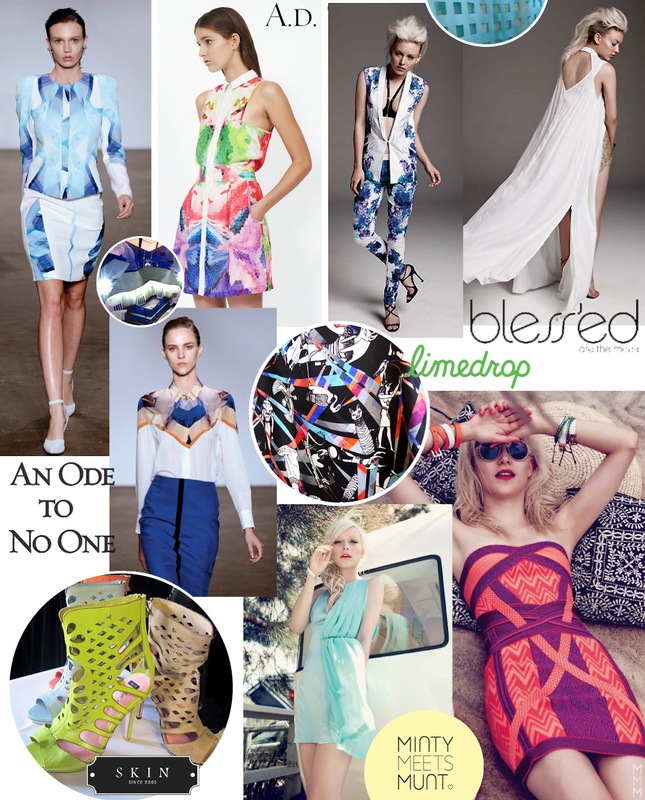 Bless'ed Are The Meek also showcased magic cutouts and seducing prints that are definite staples for next season. Limedrop revealed a colourful Egyptian inspired print while Minty Meets Munt embraced tribal inspiration along with lust-worthy layers. To top it all off the shoe range by Skin was fierce, thank you MFPR for a fabulous showing! Love the tribal prints and the shoes. So many patterns, so cool and so interesting. wow, how perfect are those bright colours and bold pattern. wonderful pieces!